The meteoric rise of stealth games in the current sphere of gaming can often be compared by some of the biggest and the best currently on the market to their predecessors. 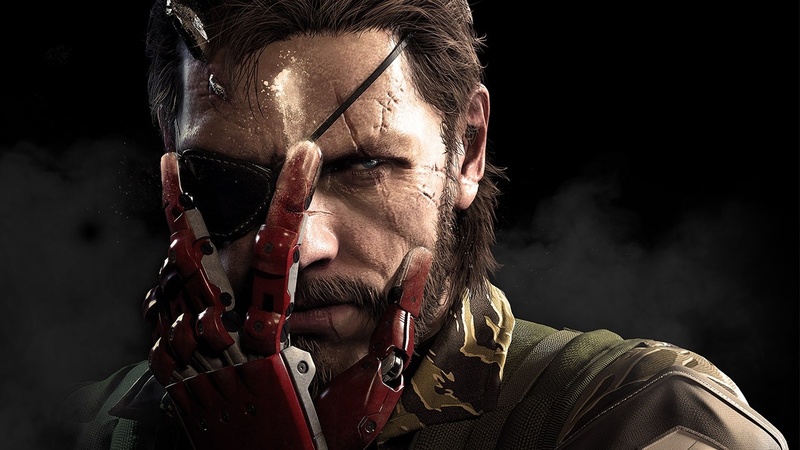 Metal Gear Solid 5 and Deus Ex immediately spring to mind – the way these games have carried on through the hard years of previous generations has transcended the stealth genre. In the first Dishonored however we got something new; a fresh game with mature themes but with cartoony and simple graphics. Set in the dark and terrible city of Dunwall, the game had a great dystopian feel to it, especially with the ugly rat plague used as a backdrop to the atmosphere. It was easily one of the most enjoyable and satisfying stealth playthroughs I have ever completed, and I wanted to delve deeper into Dishonored’s characterful and corrupt ridden world. Dishonored 2 built on what the first game delivered, with incredibly detailed missions and several different ways to play – lethal or non-lethal. It also added to its story, having finally given Corvo a voice in this game, and you are given the choice to play as either him or Emily Kaldwin. 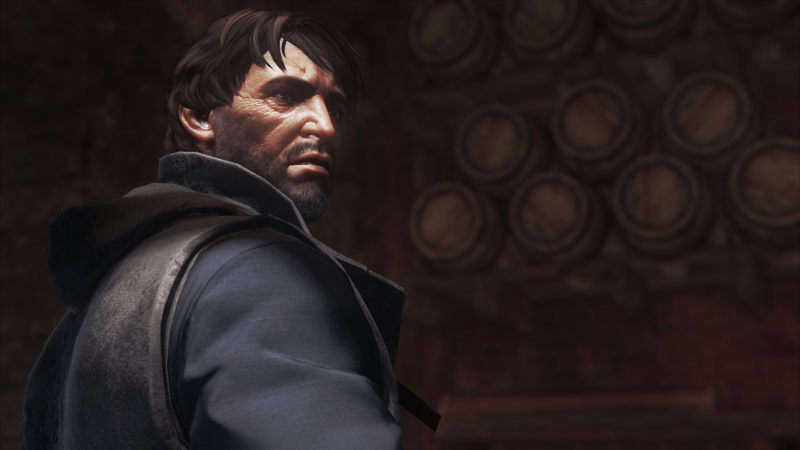 Each character comes with their own unique move set and style of approach, Corvo focusing more on assault type abilities, while Emily was much more stealth orientated. Both methods of approach feel viable and rewarding though, as the game doesn’t push the player too hard in one direction or the other, leaving it up to you to work through the incredibly open and detailed missions. Dishonored 2’s mission design is the focal point for the game, with a great mix of outdoor gameplay whereby you would find yourself using the rooftops to navigate your way to the objective, keeping away from the crowded and heavily patrolled streets, yet there are ways to get through using the sewage network and some careful ducking and slipping through the mean streets of Karnaca. The structure is spot on as well, building you up from some simple assassination missions and complex clockwork puzzles to eventually time travel, adding a whole new layer without feeling overly complex or so difficult that the game might lose atmosphere. This, combined with Dishonored’s brilliant universe building, is what makes it one of the most unique stealth games in the current market and why I’m particularly excited for future titles and what they too will add. A sequel to one of the greatest stealth espionage games of all time was always going to be a welcome sight, however many didn’t anticipated a game as brilliantly crafted and masterfully nurtured as The Phantom Pain. A game that offers a steadfast platform for contemplative stealth gameplay, but also doesn’t force the “go loud” option for the player. The wonderfully sculpted mission designs paired with its scope for progression within its open world is something that will stand out amongst the very best stealth/action games of the current generation. Never have I ever contemplated such simple mission objectives in a game before, as it allows the player to view weather patterns from Mother Base – the main base of operations for the player – and scout and mark enemies or points of interest such as vehicles, weapons and intelligence that might make the difference. How thoroughly you’ve planned your missions will often decide how clean the final result will be; planning guard routes and mission escapes will often be the difference between a smooth run through to the end or a gun’s blazing bonanza. Speaking of which, The Phantom Pain’s gunplay feels slick and responsive, it doesn’t overly punish the player for going in guns blazing nor does it feel almost impossible to complete objectives this way. It wants the player to embrace their own style of play, as nothing in the gameplay is scripted or forced through. Everything you do you feel responsible for, making the gameplay extra fulfilling and satisfying. It has a whole plethora of guns and gadgets to unlock from Mother Base too and along with this you’ll have to manage the construction and staffing of the base. Starting out as a small, puny piece of work, it will develop into a huge base of operations as you expand its infrastructure and increase the workforce. All of this makes The Phantom Pain one of the greatest games in the franchise and perhaps the greatest and most unique stealth game available. The latest entry in the Hitman franchise was something of an enigma, with a bizarre episodic structure of release in which a new mission would be released every month. It had fans, including myself, sceptical about the impact as a complete package. Alas, the sixth and final episode was released at the end of 2016, and whilst the style of release was controversial to say the least, for the most part I felt it worked. Sure, you would have to stop playing once you’d had enough with your monthly mission and remind yourself a month later that you could continue playing, but its spaced out releases encouraged players to replay missions for maximum value and satisfaction. The story is bog standard of course – you play as Agent 47 a systematic assassin, working for the International Contract Agency, a shadowy organisation that has you assassinate various targets in a variety of different settings. The story is, of course, not its strong point, as Hitman’s true strengths lie in its explorative and multi-dimensional gameplay that allows the player to truly take control of one of the most cunning and ruthless assassins in the world. After entering a level with nothing but a silenced pistol and 47’s standard apparel, from there on out, it’s all down to you. Every mission objective is simple – kill your targets in whatever way possible. 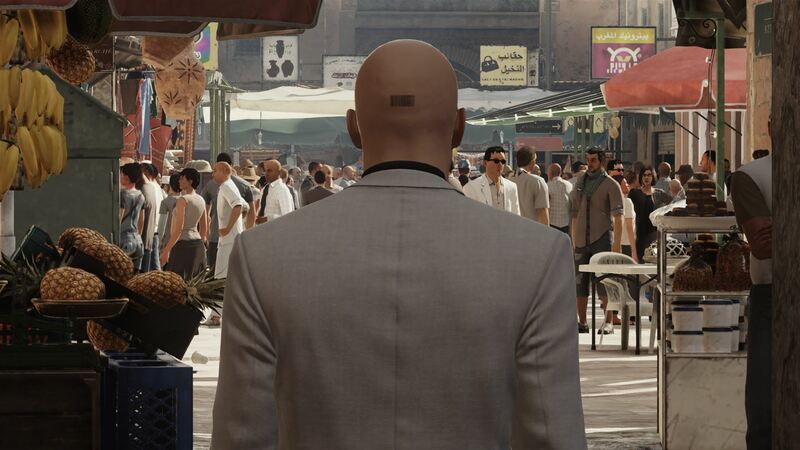 But Hitman is jam packed with various “opportunities” that will allow you extra access or even a private room with the target. For example I was able to gain information to suggest that one of the targets is having an affair with their golf coach, which enabled me to track down the coach himself, gain his disguise and set up a private meetup with the target to eliminate her without any collateral damage or intrusions. Bonus points are offered for these systematic methods, however the game will encourage you as much as possible to play as stealthily as you can, with most of these opportunities only being possible if you remain undetected. You’ll also lose out on points if you kill non-targets or if you are detected. Each level is unique and puts 47 in different environments altogether, whether you are at a glamorous fashion show in Paris or at a grizzled military base in Colorado, the main principles remain consistent and always refreshing, no matter how many ways you kill the same targets. Hitman’s depth of gameplay and vast open levels give the player a great template for amazing stealth-action gameplay to create memorable moments that will never slip from memory. One of my favourite childhood games of all time was perhaps the original Deus Ex. The combination of stealth and adventure with RPG elements made it a truly memorable experience. The franchise has come a long way since then though and Deus Ex Human Revolution was my favourite stealth game on the previous gen. So, like many I was mouth wateringly excited about its sequel, “Mankind Divided”. Set directly after the events of Human Revolution, the game mimics the dark and dystopian feel of its predecessor. 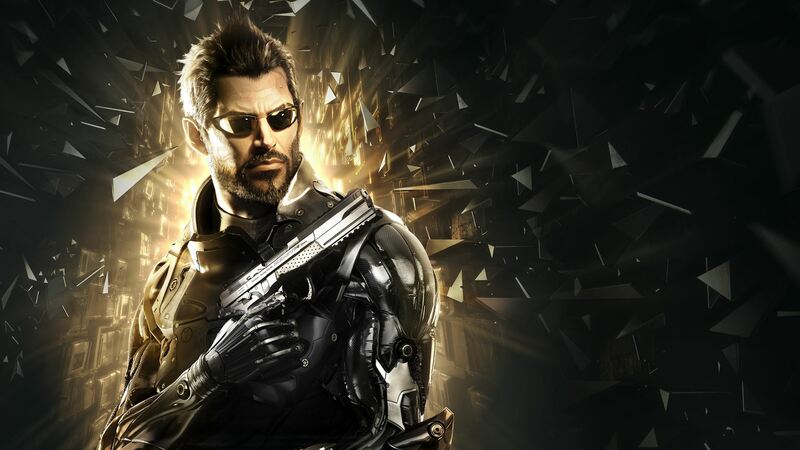 You play as Adam Jensen, a robotically “augmented” human embroiled in a bitter investigation to find the culprits of an “Illuminati” organisation that seeks to demonize and discredit augmented beings entirely. Those that had previously invested in augments to mechanically enhance themselves are now living in a mechanical apartheid, thanks to the actions of the illuminati from the previous game. Mankind Divided allows you to tackle situations using combat, hacking, stealth, and social interactions. It utilises both third and first-person perspectives, and by shifting in and out of cover will transition these two perspectives – but it doesn’t feel clunky or awkward. There are also several tools Adam can gain through the upgrading mechanic, and these abilities are all catered to your playstyle; assault abilities are there for those who like to go in guns blazing, whilst stealth and movement enhancing abilities are also available for those who want to take a more covert style of gameplay. The levels are complex and sometimes tough to navigate, with security cameras, guards and sentry turrets all in place to stop you from getting you to your objective. This encourages you to play your own way, with many different routes and hidden pathways available, you can even complete the game without killing a single person. Mankind Divided also has various dialogue options during social interactions with the characters you’ll meet in the game; choose wisely however, as your words are designed to influence a characters behaviour. Insult them and you may just find yourself in a Mexican standoff with guns drawn, endorse or appease them and they may do you a favour or help you later on in the game. The environment is wonderfully crafted, it’s dark and dystopian with racial themes interwoven in its divided society. The highlight for me was the segment around Golem City, a cramped and starved augment ghetto where augmented people are dumped like human waste. It truly gave me a sense of dread and sympathy for their plight in the game. Deus Ex’s ability to craft a characterful and emotional world is what allows its explorative and initiatory gameplay to really flourish. Despite the games short campaign of around 6 hours and a limp, the unforgetable ending of Deus Ex stands out as one of the best and most unique stealth games ever. The build-up to the latest game in the Alien franchise came with mixed views from fans, having witnessed one of the greatest disappointments of all time in Aliens Colonial Marines. It had many particularly worried about Isolation’s release, however what we got was nothing short of a masterpiece; a beautifully crafted game that showed us why 1979’s Alien movie is considered one of the greatest horror movies ever made. 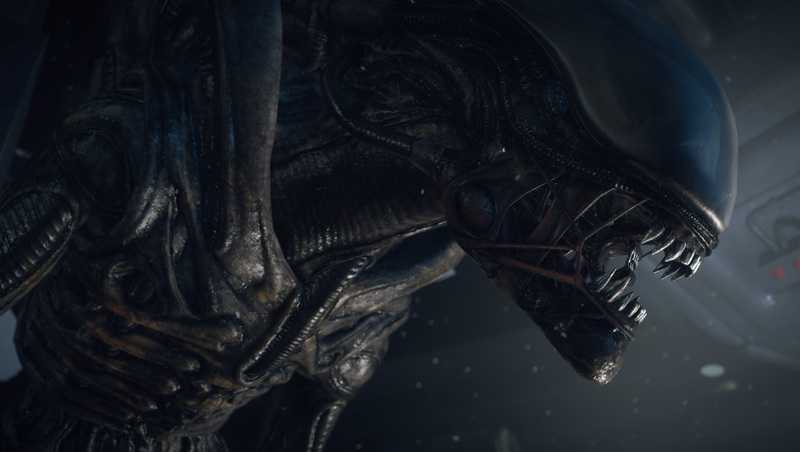 Alien Isolation is able, on so many levels, to replicate the sci-fi feel of the original movie and create a genuine sense of dread around the alien. Set 15 years after the movie, you play as Amanda Ripley daughter of Ellen Ripley – your mission is to retrieve the Nostromo’s flight recorder which has been recently located as being on Sevastopol station, owned by the Seegson corporation. After arriving you are quickly thrown in at the deep end as you are separated from your team and forced to enter the station alone. The story is both refreshing and pulsating. Ripley is no soldier nor colonial marine, and you are forced to play based on her character, a resourceful and clever space engineer, as you try to navigate the chaotic and creepy Sevastopol station. The primary focus of course for the game is the “Alien”, the perfect organism and the pristine hunter. Your encounters with this colonial terror are never short of dread or fright from the shocking first encounter right up until your last-ditch attempt to kill the beast. The Alien’s AI is something to behold as well; interactive and unpredictable, you’re never quite sure when It will emerge from the many air vents on the station or if it has quite gotten scent to Ripley’s whereabouts. Facing off with it in this game is something that will touch a nerve with every super fan of the original film. The game has many other threats as well; rogue androids and human opposition will all be ready to attack at the first opportunity. The gameplay is smooth yet dark and thrilling, Ripley has several tools at her disposal such as the classic motion tracker to give you a heads up for any activity in the area, but also has several firearms to help her fend off or eliminate some of the games many enemies. Ammo is rare and you’ll have to gather various crafting materials to help you get more; items like firebombs and med-kits can also be crafted to give you the edge In combat. Gameplay between the various threats on board the station is wonderfully interwoven, so if you decide to take out the brawler androids with firearms, the gunshots will attract the alien and give you a new threat to deal with entirely. If you are able to lure the alien to humans though, then it will begin to stalk them instead of you, giving a window of opportunity to slip past… or allowing you to hang around to pick up what’s left. Alien Isolation’s ability to feel true to the original film whilst including some great stealth gameplay is what makes it one of the most unique out there. It is a pleasure to play through, no matter how many sleepless nights you will get from the horrors of the experience. So, what do you think? Have we missed anything crucial off this list? Let us know in the comments section down below!